Excellent match for the Cruiserweight Title, which is no surprise. Clean win by Cedric, which is a bit of a surprise. What that means, most likely, is that they have someone else queued up to take a shot at Alexander next. I’m not really sure who that could (or should) be at this point, though. 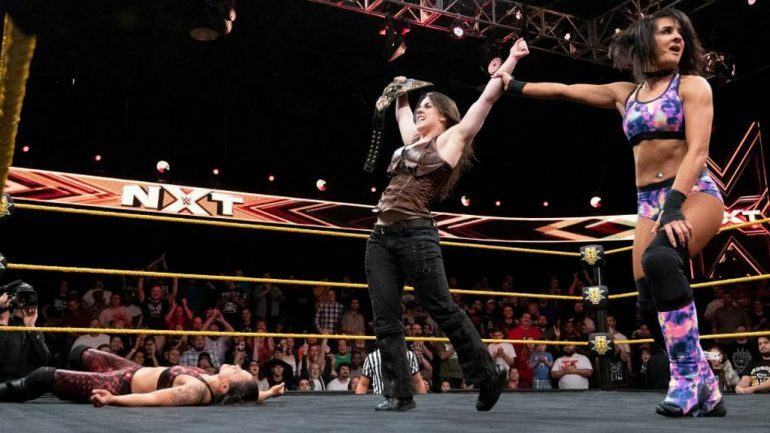 In my favorite segment of the week, after Shayna Baszler beat Scared But Determined Dakota Kai to retain her NXT Women’s Championship, Nikki Cross came out, super-crazy as always, said Dakota Kai was a referee, hit Baszler with her finisher, and took possession of the belt a couiple of times. It was an insane interaction, so much fun, and Cross is the perfect, fearless foil for Baszler, even though I don’t think Cross will take the title away from her, which is a shame. Speaking of matches I doubt the challenger will win. This is a dull matchup and will probably not be a great match, and maybe they’ll make something else the Takeover main event because they know it, too. Hell, make Dream vs. Ricochet the main event. It’ll probably be the opener. She won a Gauntlet match on Raw that, apart from Elias hitting Seth ROllins with a guitar, was the only real Event of Significance on all of Raw. No idea where half the Raw women’s division’s stories are at this point. By putting Daniel Bryan to sleep, which is interesting, because why would you add Big Cass to this match if not to have him take the pin instead of Bryan or Joe? Anyway, to nobody’s surprise, nobody wants Daniel Bryan in an eight man ladder match where things can go horribly wrong. And thanks to Joe’s promo opening the show, I now know who I definitely want to win, even if he probably won’t. Bonus Kudos to the Kevin Owens stuff in the Raw opener of Balor vs. Strowman - first, his commentary, which is always fun, and second, the final Strowman Hurls A Ladder Halfway Up The Entrance Ramp moment. Anti-Kudos to both the B-Team Barbecue setment and the Sami Zayn Apology segment on Raw, which were garbage and unhelpful.